Go bananas! Go nuts! Go both! 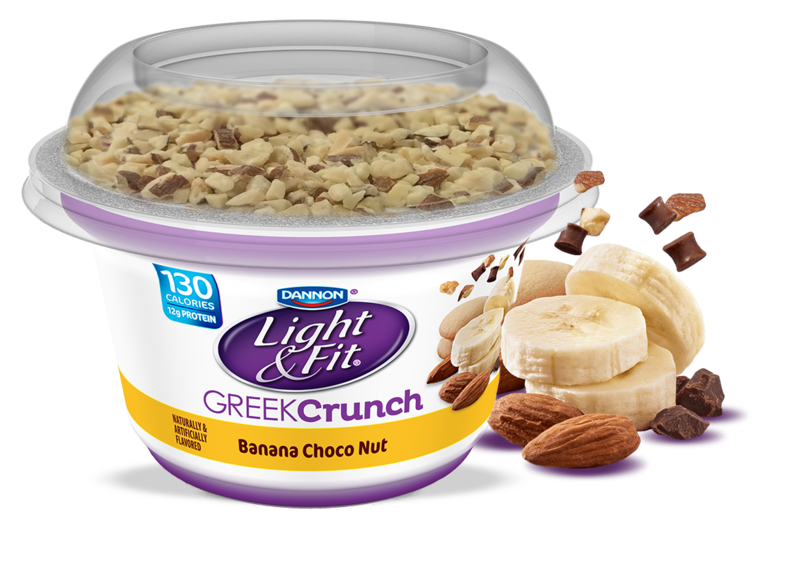 Sweet banana flavored Greek nonfat yogurt with dark chocolate, vanilla wafer pieces and almond mix-ins. 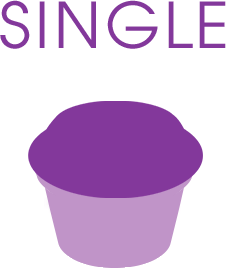 Nonfat Yogurt: Cultured Grade A Non Fat Milk, Water, Crystalline Fructose, Modified Corn Starch, Bananas, Natural And Artificial Flavors, Pectin, Malic Acid, Sucralose, Calcium Citrate, Potassium Sorbate (To Preserve Freshness), Acesulfame Potassium, Beta Carotene (For Color), Xanthan Gum, Annatto Extract (For Color), Sodium Citrate. Topping: Vanilla Wafer Cookie (Unenriched Wheat Flour, Sugar, Liquid Polydextrose, Canola Oil, Water, Natural Flavor, Salt, Non Fat Dry Milk, Baking Soda, Soy Lecithin), Dark Chocolate Pieces (Sugar, Unsweetened Chocolate, Cocoa Butter, Soy Lecithin, Vanilla Extract), Almonds. Contains Milk, Wheat, Soy & Tree Nuts. May Contain Traces Of Peanuts Or Eggs.